I’ve written before about my cold extremities, partly due to Raynaud’s Syndrome. My toes and fingers can get nearly frost nipped at home, with the heat on. It’s crazy. Of course sitting at my desk is the worst because I’m just sitting there. Last year I acquired heated booties (via USB cord), which has helped greatly. I still might some day get a heated foot pad. This year I tackled the hands, and I’m now the proud owner of a heated mouse and a blanket pouch for said mouse. I did not get the heated version of the blanket pouch, but there is one of those too and I’m pondering another purchase. 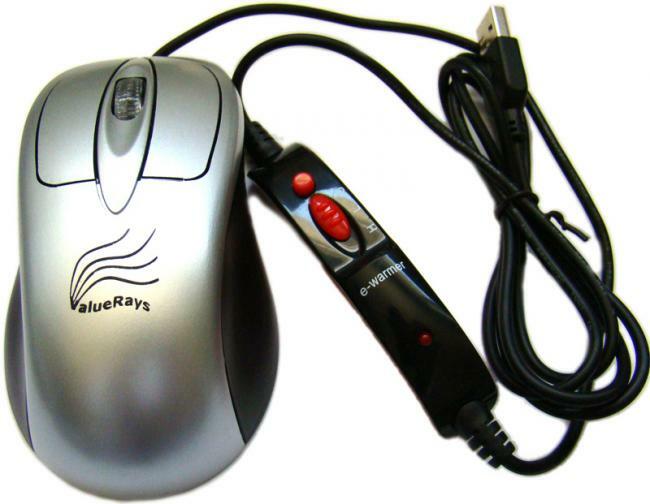 The company, called ValueRays, also sells heated keyboard wrist pads, mouse pads, and other computer peripherals, all emitting USB infrared heat. I had a brief exchange with the owner, Anna Miller, who lives in California, who first introduced the mouse in October 2008. She’d run an e-commerce business for years, all the time with cold hands. When she started specializing in heated computer gadgets, folks told her she was crazy. Hmmm, must have been those warm-blooded men. Now her products are used by regular folks as well as sufferers of Raynauds, arthritis, carpal tunnel, and a host of other ailments. 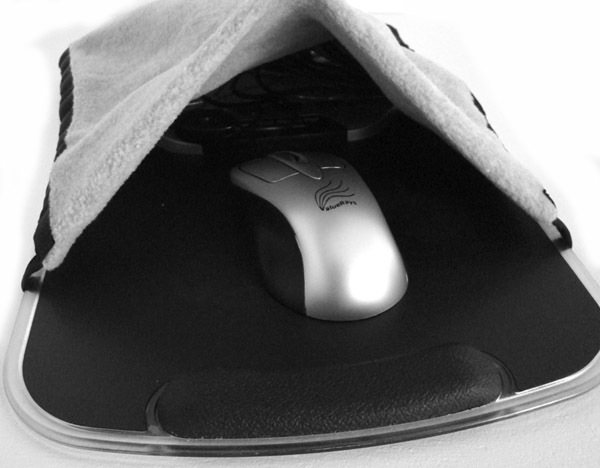 Not to sound too dramatic, but my mouse and blanket have changed my life! I first discovered the mouse on eBay, and here’s Anna’s website with all the products. Happy (and warm) shopping! This entry was posted on December 19, 2010 at 9:16 pm and is filed under Consumer rave. You can follow any responses to this entry through the RSS 2.0 feed. You can leave a response, or trackback from your own site. My pleasure, Anna. You’re providing a great service!